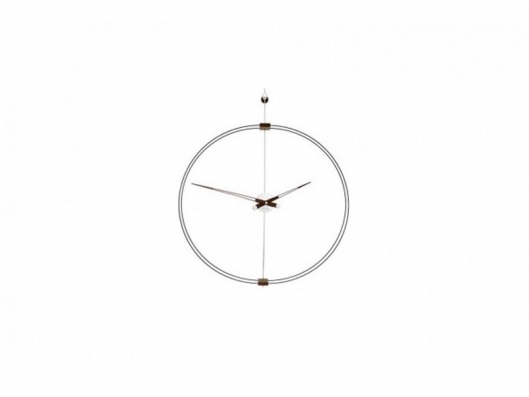 Wall clock designed in finishings exclusive to Natuzzi by renowned Nomon. Available in chromed steel hands and boxes in smoked oak; the fiberglass circle can be in black or white. 5,12cm x 29,53cm H 35,43cm 2,02" x 11,63" H 13,95"
Call us for pricing at 828-327-8485 or Click here to receive email quote for Zerotondo item.